Our view of the sacrificial rituals of hero-cults has in the last decade undergone substantial changes. The traditional notion of hero-sacrifices consisting of holocausts on low hearth-altars, libations of blood in pits, and the offering of prepared meals, but never including ritual dining, needs to be fundamentally revised. This view of hero-cult ritual has been based on an uncritical use of literary sources of different date and character, and on the assumption that information derived from Roman or even Byzantine writers is valid also for conditions during earlier periods. If a broader range of evidence is considered (literary and epigraphical sources, iconography and archaeology) and a focus is maintained primarily upon contemporary sources, the sacrificial rituals of hero-cults in the archaic to hellenistic periods turn out to be very similar to those of the gods. 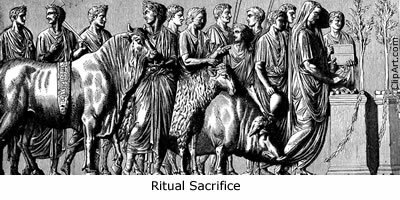 The main ritual in hero-cult was an animal sacrifice at which the worshipers ate the meat. The terminology used for these sacrifices was thyein and thysia, standard terms in the cult of the gods. There is literary, epigraphical, and archaeological evidence for the handling and division of the meat and dining facilities in the sanctuaries of heroes, and direct references to eating. For example, a mid-fifth-century Athenian decree of the cult association of the Hero Echelos and his Heroines states how the meat of the victims sacrificed, a piglet and two fully grown animals, probably sheep, was to be distributed. Present members of the association were to receive a full portion, while their sons, wives, and daughters seem to have been given at least half a portion of meat each. Also, the terminology relating to and the appearance of the altars or sacrificial installations used in hero-cults show few differences from those used in the cult of the gods. The altar is called bōmos, while the term eschara, commonly taken to mean a particular hero-altar, was applied to the upper part of the bōmos where the fire was kept, often manufactured in a different material. In hero-cults, eschara could also refer to a simple ash altar located directly on the ground, a feature known from the Archegesion on Delos, but the sacrifices were of the alimentary kind. Apart from regular animal sacrifices, the heroes also received theoxenia, offerings of food of the kind eaten by humans. This ritual could simply consist of a table with offerings, trapeza, and would then be a less expensive, vegetarian alternative to animal sacrifice, especially in private contexts. In official cult, this ritual often functioned as a means of substantiating a thysia, either by giving the same recipient both an animal victim and a table or, in the case of a hero and a heroine, giving the former the animal, while the less important heroine received the table. A large number of reliefs (so-called Totenmahl reliefs) show a hero reclining at a table with offerings, while worshipers approach, sometimes bringing an animal as well. Heracles and the Dioscuri were commonly depicted as banqueters, a scheme certainly reflecting the particular importance of theoxenia in their cults. 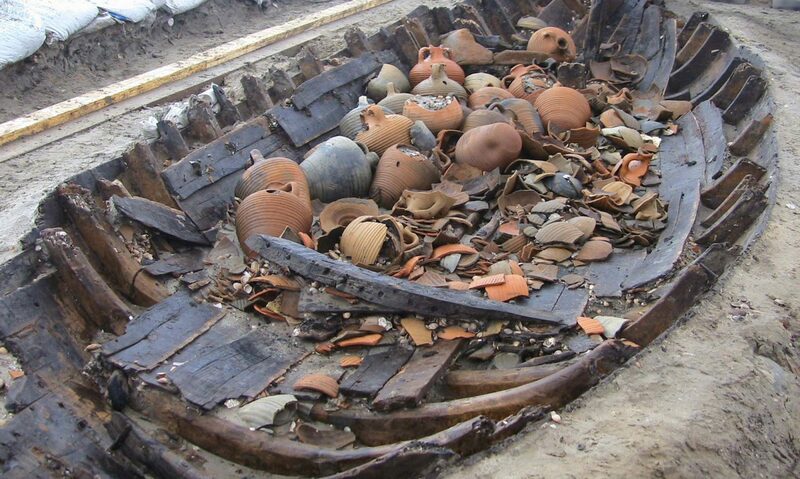 The aim of the theoxenia seems to have been to bring the recipient closer to the worshipers, and the ritual could also include the preparation of a couch and an invitation to the hero to come and participate as an honored guest. That a closer bond was desired at private sacrifices is understandable, but the presence of a Hēroxeinia festival on Thasos shows that state cults of heroes focused on such rituals as well. On the whole, the rituals traditionally considered as typical for heroes, and as distinguishing them from the gods in general, must be considered as marginal features in hero-cults. Blood was of relatively minor importance, and at standard animal sacrifices to heroes the blood was kept and eaten, just as the meat was. At a small number of sacrifices the ritual was modified, with the blood being completely discarded, an action designated by a particular terminology denoting the technical aspects of this procedure. The sacrifices to Pelops at Olympia, as outlined by Pindar (Olympian 1.90-3), consisted of a thysia sacrifice embellished with a laden table and couch, but the ritual was initiated by a pouring out of blood, haimakouria, presumably over the hero’s tomb or into a pit, bothros. The blood seems here to have functioned as a means of contacting and inviting the hero and ensuring his presence at the sacrifice. Most heroes for whom such libations of blood are attested have a particular connection with war, and the ritual may have served both to underline this association and as a reminder of the bloodshed of battle and the battle-line sphagia sacrifices, at which the victim’s throat was slit and the blood flowed freely. On Thasos, the war dead, called Agathoi, ‘‘the good men,” were honored with a public funeral, sacrifices, and an official listing of their names. The inscription gives the term entemnein for the ritual action, which in context is best understood to refer to the animal being killed and bled, the blood perhaps being poured on the tomb of the Agathoi, while the meat was eaten at a banquet in which the relatives of the fallen occupied a prominent position. A similar procedure can be reconstructed from Thucydides’ account of the rituals for the Spartan general Brasidas, who fell while defending Amphipolis against the Athenians (Thucydides 5.11). He was buried in the city, proclaimed its new founder, and venerated as a hero with games and sacrifices, which included libations of blood and public consumption of the meat. Destruction sacrifices, at which no dining took place, were rare in hero-cults. Some of these rituals are covered by the terminology used in the cult of the dead (enagizein), and the use of this terminology seems to imply not only the burning of the offerings, but also an emphasis of the dead and therefore impure character of these particular heroes. Heracles received thysia sacrifices, at which the meat was eaten, and enagizein sacrifices, a combination meant to bring out his dual character as both an immortal god and a mortal hero (Herodotus 2.44). In all, however, the complete or partial destruction of the animal victim was no more common in hero-cults than in the cults of the gods, most instances, in fact, being found in the cult of Zeus. Many destruction sacrifices, no matter who the recipient, were performed in a crisis context, in which this extraordinary ritual was aimed at solving the problems. A particular heroic trait was to destroy a ninth part of the victim (or rather of its meat). The sacred law from Selinous mentions a sacrifice to the impure Tritopatores ‘‘as to the heroes” and prescribes that a ninth of the meat was to be burnt. A sacrificial calendar from Mykonos from around 200 BC also stipulates such a sacrifice (enateuein) to Semele, and the ritual was also known, but perhaps not executed, on Thasos in the cult of Heracles. That the heroes were important recipients of worship is obvious from the actual number of sacrifices they received and the amount of money spent on these occasions. It comes as no surprise that alimentary sacrifice was the main ritual of hero-cults, considering the fact that heroes fulfilled the same role as gods within the Greek religious system. The four best-preserved sacrificial calendars from classical Attica illustrate this point clearly. Of the 170 or so sacrifices listed in these texts, 40 percent were performed to heroes, while the amounts of money spent on the victims for these sacrifices was around 38 percent of the budget. If the meat from all the animals sacrificed to heroes had been considered unfit for consumption, more than a third of animals slaughtered would not have been eaten. Such a waste of meat seems highly implausible, considering the vital role sacrifices and distribution of meat fulfilled in ancient Greek society, both as a means of strengthening the social ties between citizens and as an indicator of who belonged and who did not, and considering also the fact that virtually all meat eaten seems to have come from animals killed in a ritual context.